ITALY VENDING MACHINES COMPANIES! 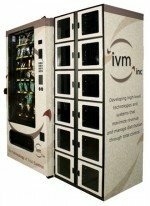 Italian Vendite Vending Machine Suppliers offering; Candy, Gumball, Snack, Soda, Drinks, Food, Deli, Healthy Vending Machines, Micro Markets, Amusement Games and repair services & more! Please contact the vending suppliers direct for more information about their vending products, vending machines or services. Alenis Vending – Vending Machine Equipment suppliers, 1.400 sqm of stock always at your disposal, for immediate deliveries of hundreds of vending machines & accessories, Gorizia, Italy. Confida.com – Vending Association Italy, Associazione Italiana Distribuzione Automatica. ENADA Spring International Coin-Op Show, Rimini, Italy. Harvin Company, a LAR Sistemi branch, is a well-known enterprise specialized in the planning and manufacturing of vending machines. A good coffee begins with Sal-Fer Sal-Fer is a company that produces components and machines for the preparation of espresso coffee, both for automatic distribution and for domestic use, with an innovative technology that guarantees a coffee for a great connoisseur. Wherever you need a good cup of coffee Sal-Fer is the ideal choice, with its machines and its great experience. YOPPI – Have a Vending Machine in your office for FREE! YOPPI FVG – Gorizia, Italy.